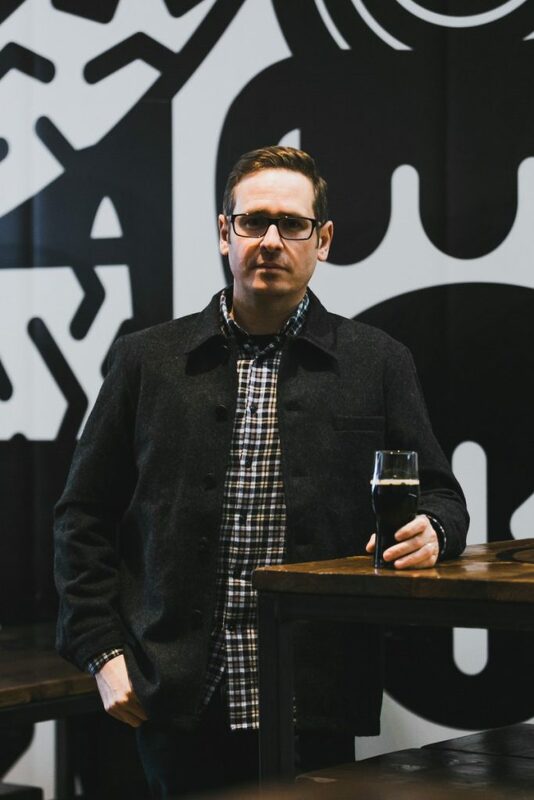 Richard is the Managing Director of Magic Rock Brewing. 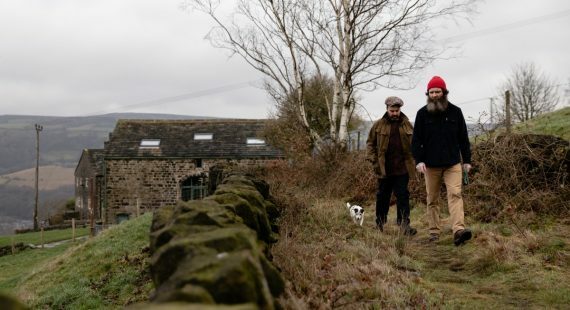 They make tasty modern craft beer in Huddersfield, Yorkshire. 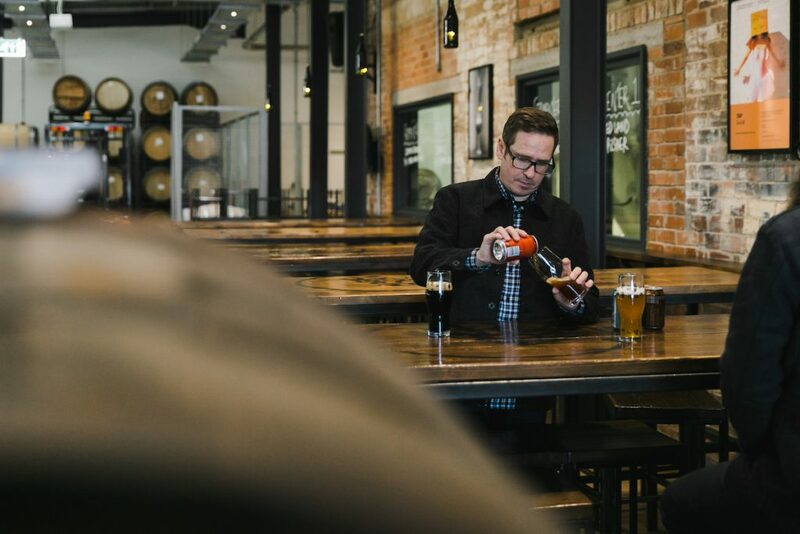 The beers include a core range as well as special editions and many collaboration brews made with the other ‘best in the world’ breweries. The core range includes, amongst others, Ringmaster their flagship 3.9% session pale ale and Cannonball, the original big gun 7.4% beer with an explosive fruity, tropical hop taste. A recent special edition favourite of ours is Bearded Lady Dessert Edition, a delicious 10.5% Bourbon aged Imperial Stout, ideal for brightening the dark days of the year. 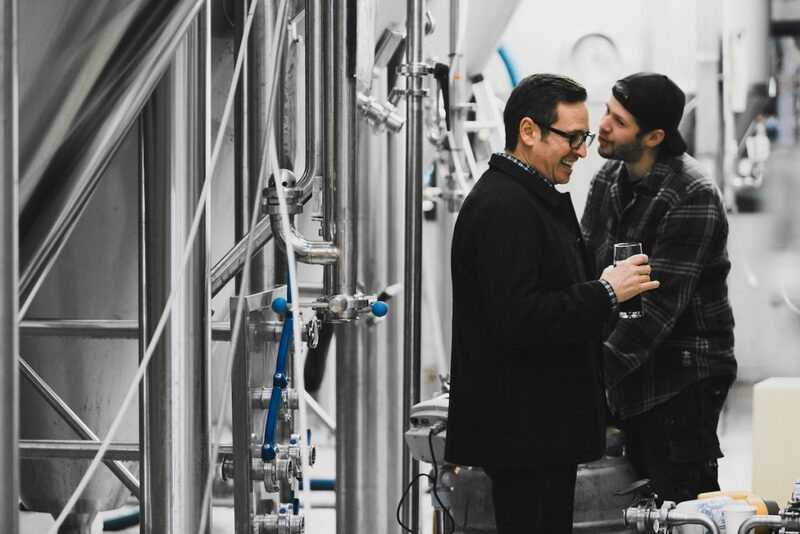 Who hasn’t dreamt of owning their own brewery? Free beer forever and your own tap room to drink it in with a steady stream of friends ever eager to help you. 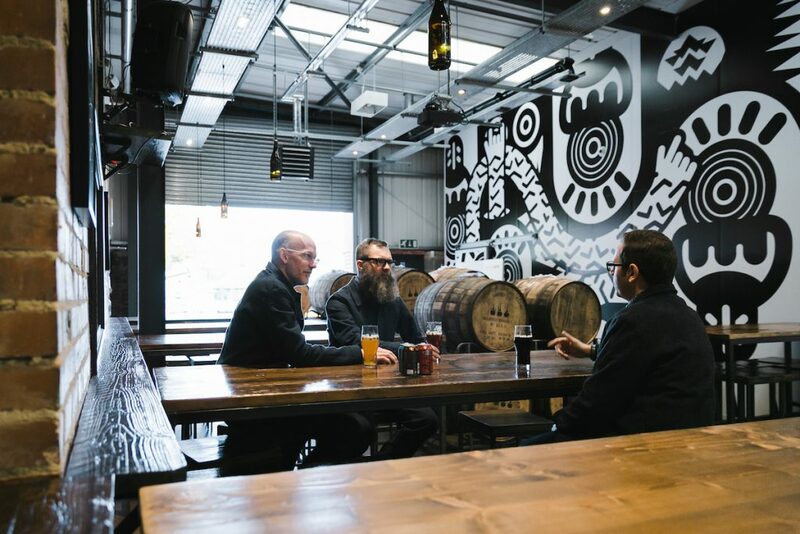 As with everything there are two sides to a story and Richard Burhouse, the main man behind Magic Rock Brewing told us his side. 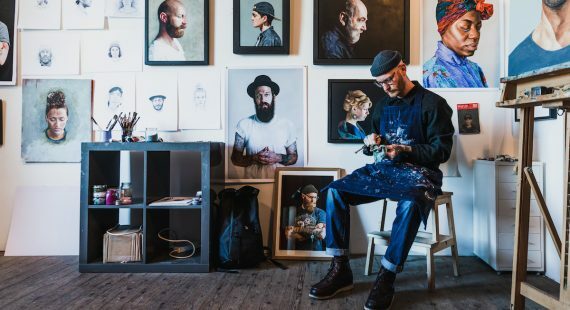 We’ve known him and his beer for ages and have run several pop up shops at the Tap, Magic Rock’s fantastic bar that is located at their brewery site in Huddersfield. 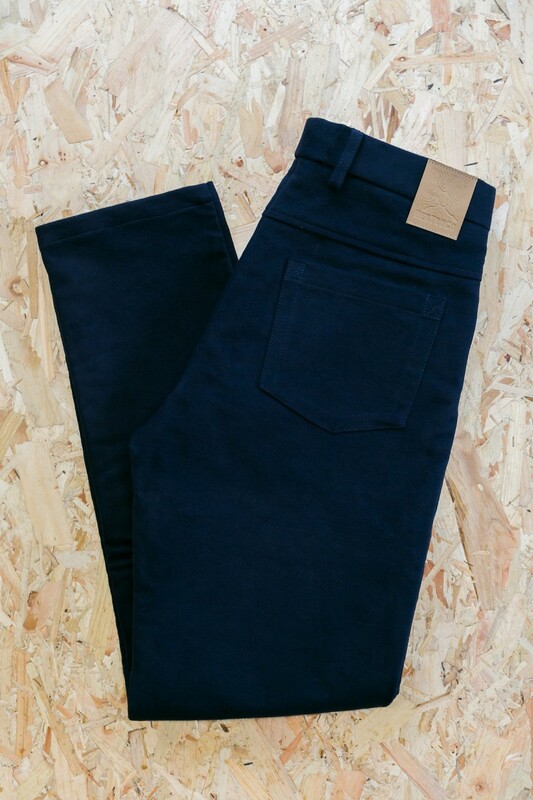 He was enthusiastic when he heard that we were selling trousers made locally and he put his hand in his pocket and bought a pair. We were chuffed when he told us that he wanted one of our 1485 Wool Jackets too and we think he looks great in it. 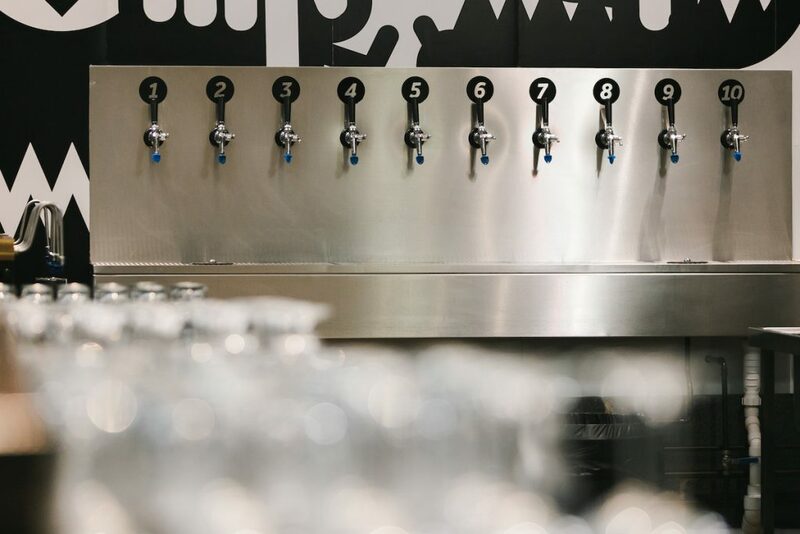 Magic Rock is built on the site of a former Ben Shaws pop factory and cans of dandelion and burdock and lemonade can be bought at the bar, alongside the beers and excellent coffees and teas, as a nod to the drinks based history of the buildings. What you won’t find there is a pint of rubbish lager or fruity cider from the big breweries, although as Richard told us with a chuckle, it doesn’t stop the odd and possibly lost customer from requesting them. 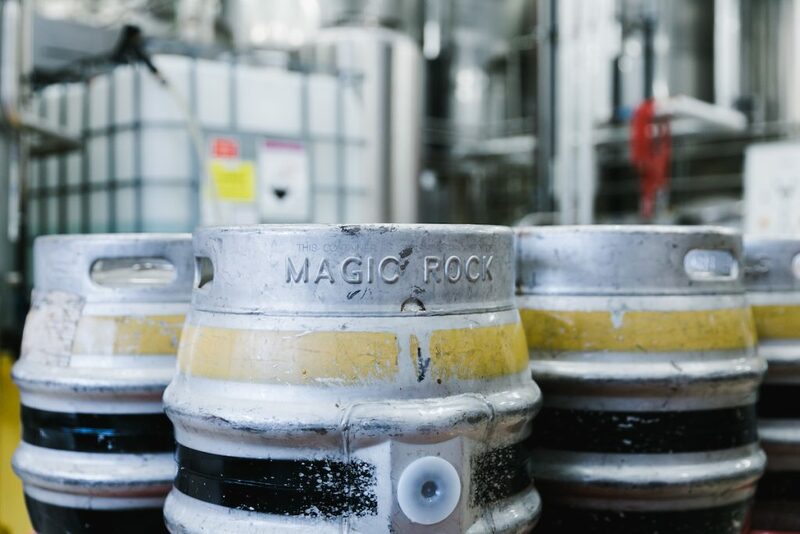 Magic Rock have been making great craft beer in Yorkshire since 2011. 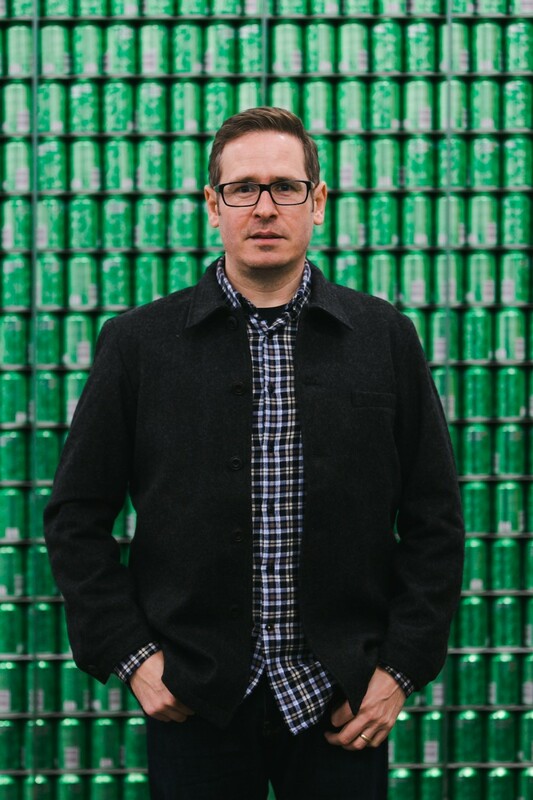 Rich started it off with a passion for good beer and the dream of making a business out of it. He knew the idea was good and he knew that to make the best beer he needed people who were better than him at brewing. He also knew that the branding had to be strong, and so even though he was a graphic designer himself, he wanted someone better than him in charge of the visual side of the company. His sound head for business, a top notch brewer in Stuart Ross and a bloke good with crayons, Richard Norgate, combined to start Magic Rock as we know it today. The beers have character and you can always identify a Magic Rock can or pump clip from the artwork. Back in the bad old days it took effort to find good beer. Rich and his mates sought out the quality real ales in cask and collected bottles from breweries who were pioneering the new wave of brewing. Particularly inspired by the tastiness of juicy west coast US beer, Rich started mybrewerytap.com, an online bottle shop for people looking to buy good quality beer. 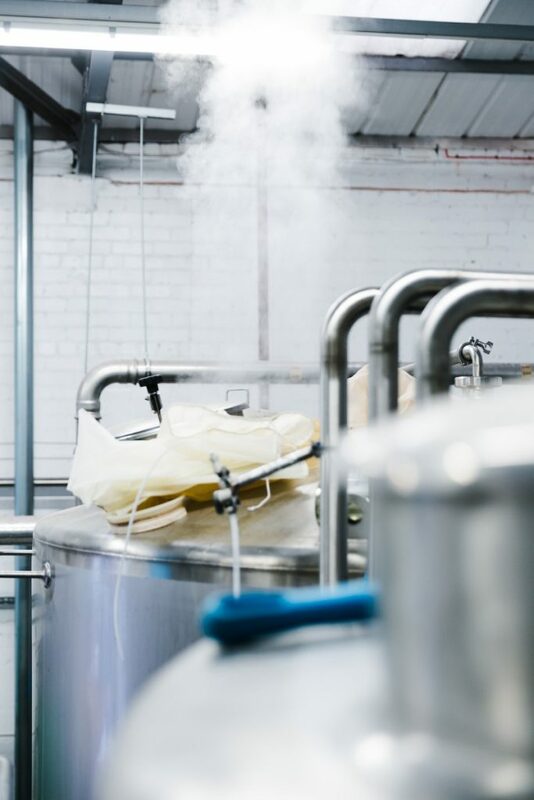 He could see that there was gong to be a growth in the popularity of tasty, modern beer and that people would want to drink it in bars and not just traditional real ale pubs. The obvious and bold next move to take his ideas forward was to start a brewery that could supply barrels and bottles. His dad was alarmed that Richard wanted to start making lots of beer and actually wondered whether his son was an alcoholic. After a bit of reassurance he agreed to lend his lad some money, which dads of the world will be surprised to hear is actually being paid back. It’s not just buildings that are invested in at Magic Rock, the staff are well looked after, with proper pay and a jolly working environment. People do seem happy to be at work when we visit and it’s not just because there’s good beer all over the place. Making money was always an important part of establishing Magic Rock. Financial success does seem to be frowned upon, especially by a lot of folk up north. When you’re selling a high value item, like craft beer or £175 belts, you get used to the Facebook comments. “How much! 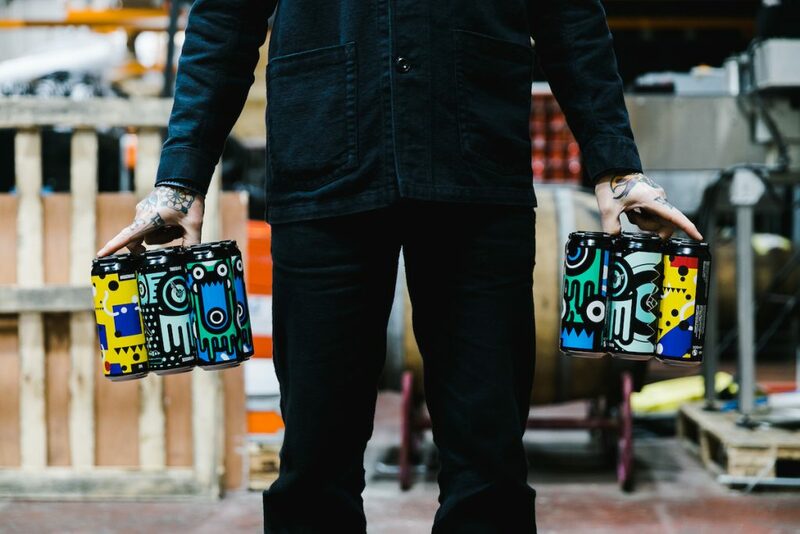 Is it made of gold?” Undeterred by the haters, Magic Rock continue to make and sell both good value classic real ales as well as short run, high end craft beers. We’ve been brainwashed by the global mass market to expect everything to be dirt cheap. The true cost of ‘everything must be cheap’ is that whoever in the world is making the actual item is unlikely to be getting paid much and the materials used are probably of a low quality, or are made with dubious ethical standards, especially environmental. Richard pointed out that you can buy a pint of Magic Rock Ringmaster at The Tap for £2.70, which if you come from London is practically for free! Critics will always focus of the high strength, small run beer that is on offer (and only if you actually want to buy it) for £6 a pint. We tend to focus on those delicious beers ourselves! Some people are just grumpy and we certainly have a reputation for this up north. Perhaps there’s an innate state of depression that can come from our often cold and wet climate, or perhaps the rise and fall of the industrial revolution, that saw the north raised to great heights before being run into the ground, has left a bitter taste for some. There has though always been a ‘can do’ attitude that is characteristic of the northern entrepreneur. 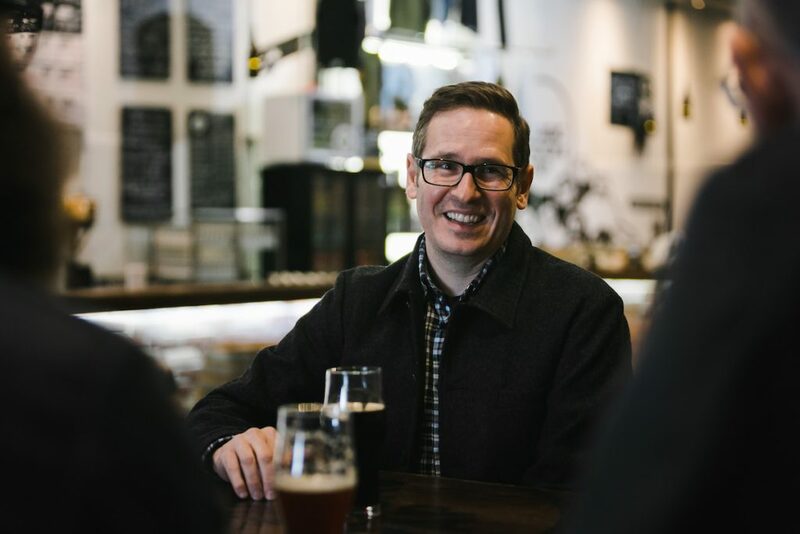 Richard Burhouse always comes across as a positive fellow and this optimism and desire for a good time pervades the atmosphere at the Magic Rock Tap. So far Rich has put around £1.5 million into the business. He now employs forty or so staff. 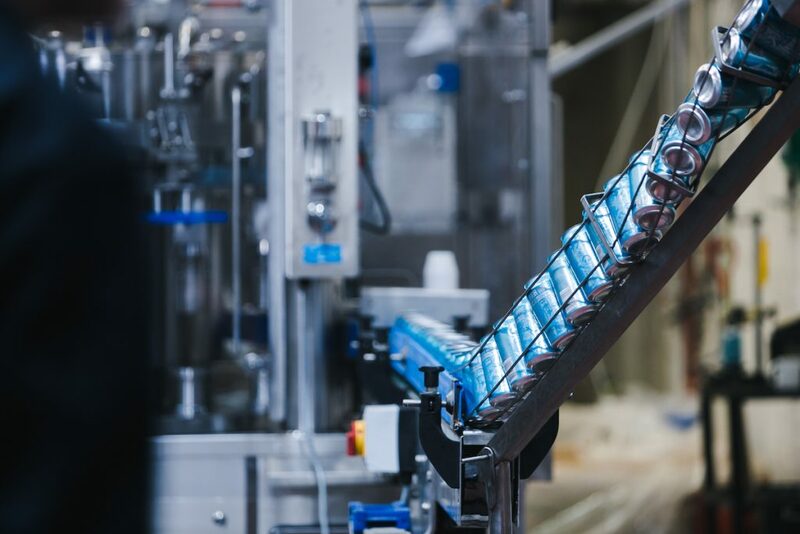 Currently more custom built, giant stainless steel fermentation tanks are going into the brewery and every time we visit there is some new brewery tech going in, like the state of the art canning line. If you haven’t paid them a visit yet then you should do. As well as some great meat, cheese and vegetarian platters served from the bar, there is often great street food, from a variety of small supplier. There are also organised cycle rides, photography exhibitions, literature and music events. Welcome to the golden age.